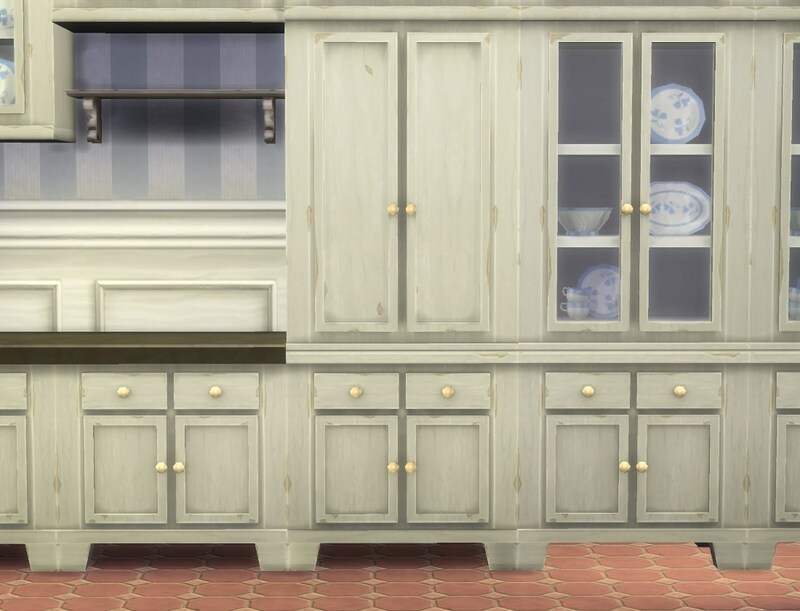 This is a functional fridge in the form of a cupboard that fits the Country Kitchen from this thread. 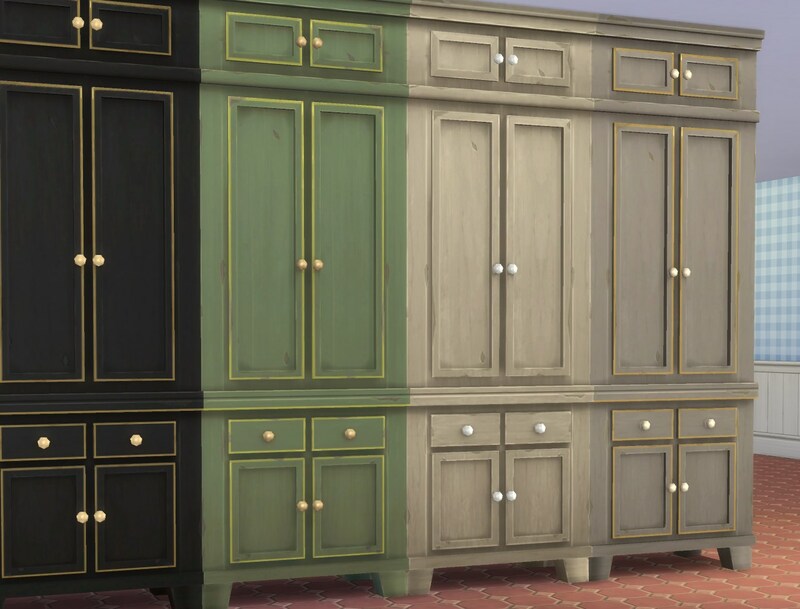 A similar fridge that looks more like a standalone cupboard is here. 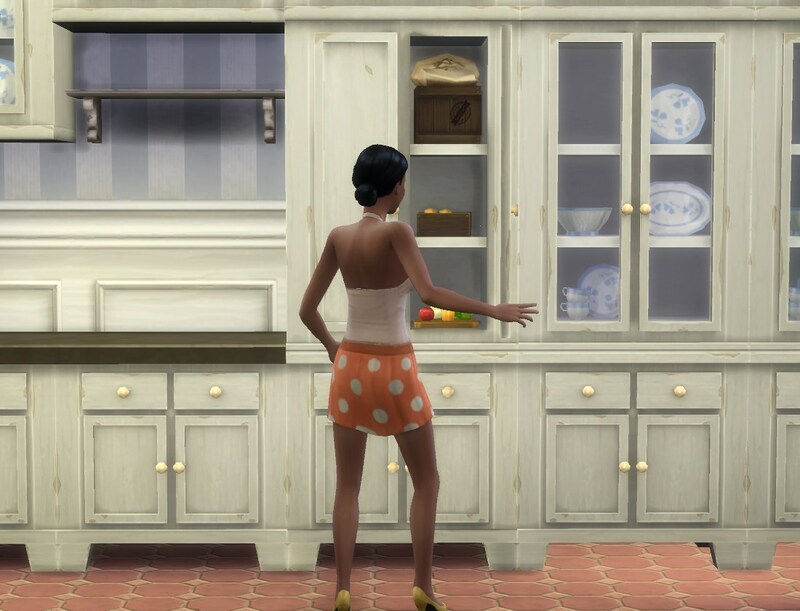 The mesh is the same as the tall cabinet, only with solid doors and a different interior. 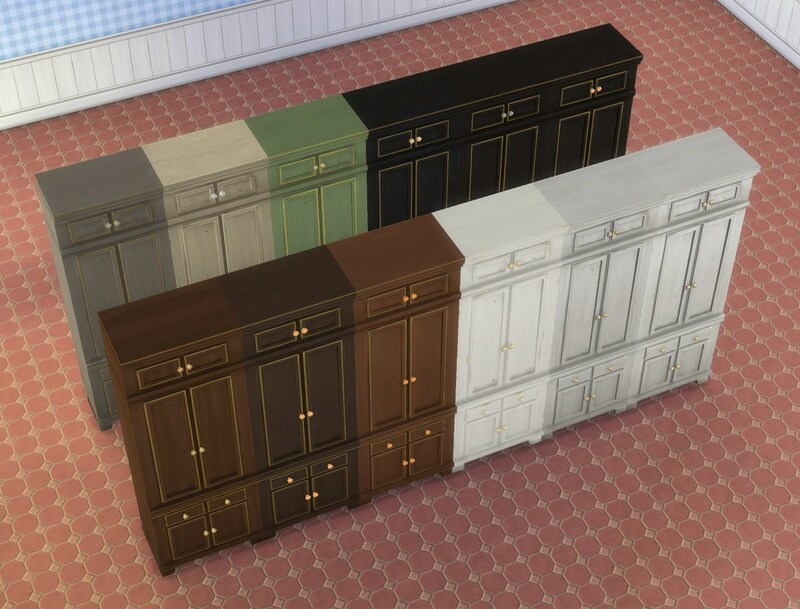 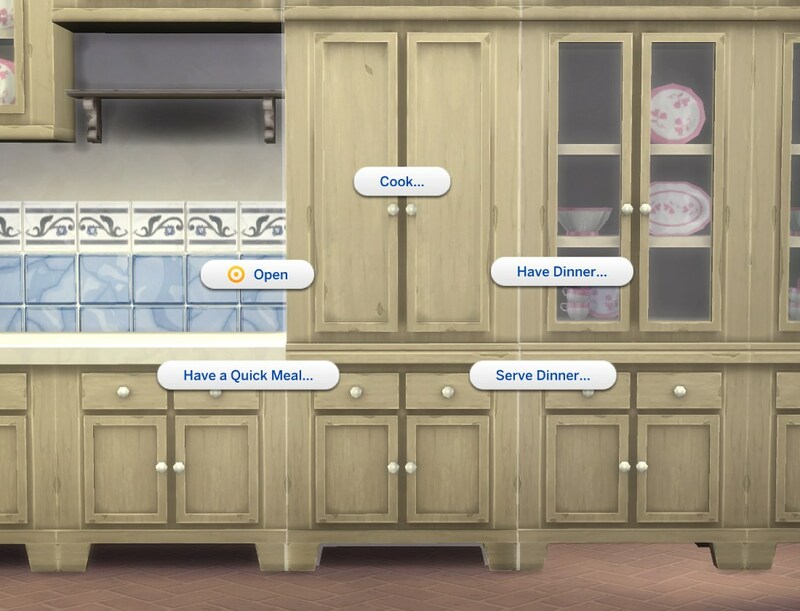 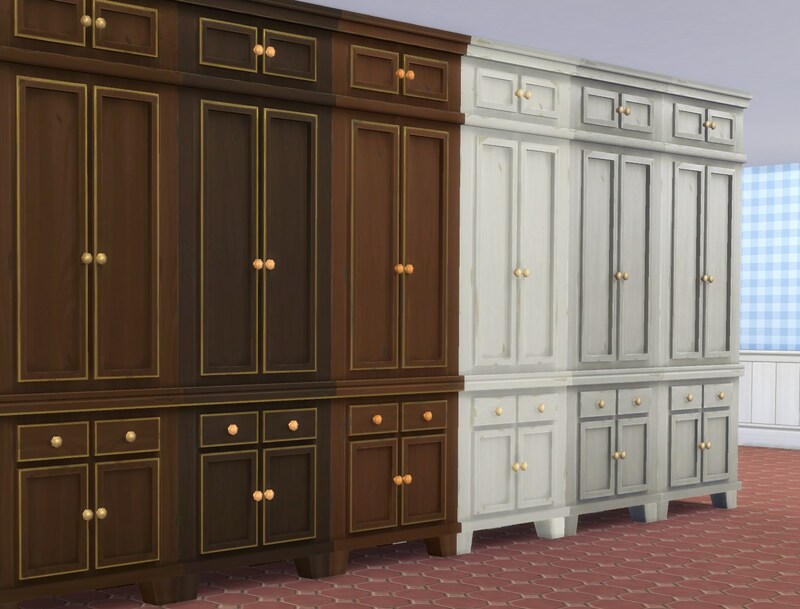 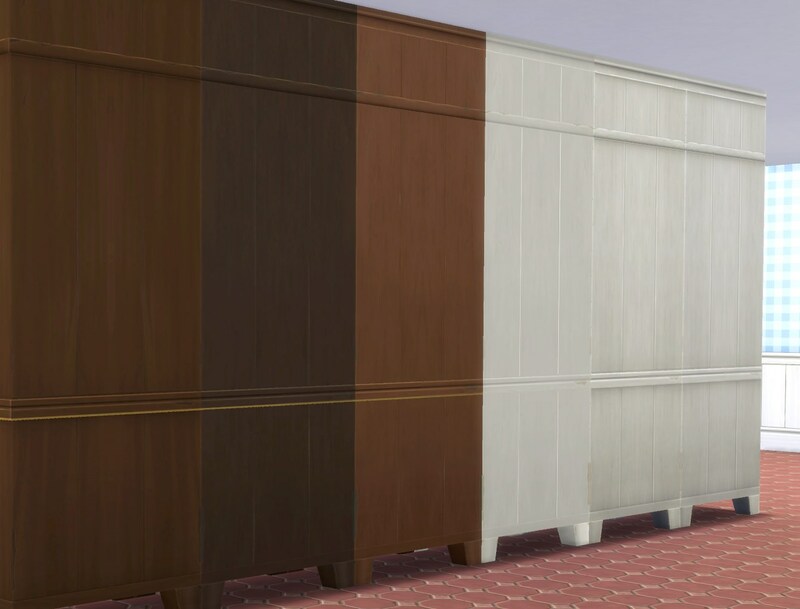 12 colour variants, all referenced from the Maxis “Home Is ..” dining hutch (including the three hidden ones), 680§. 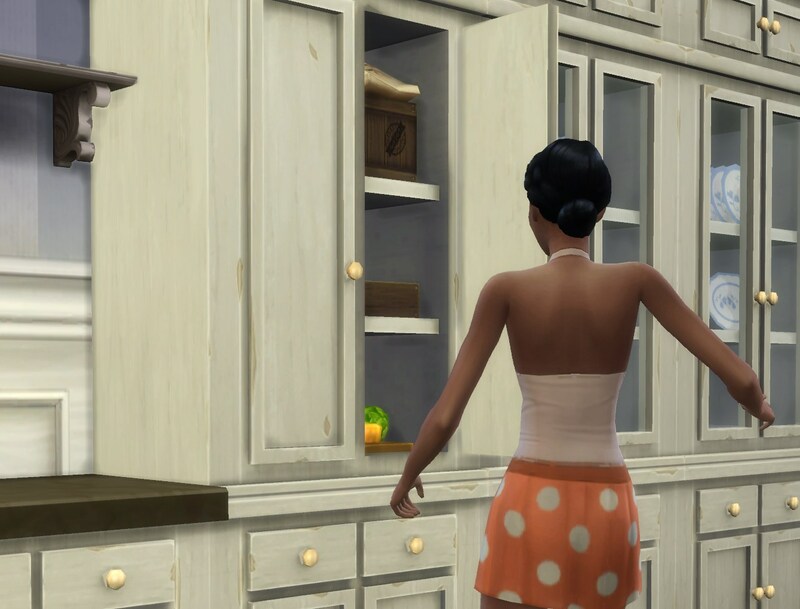 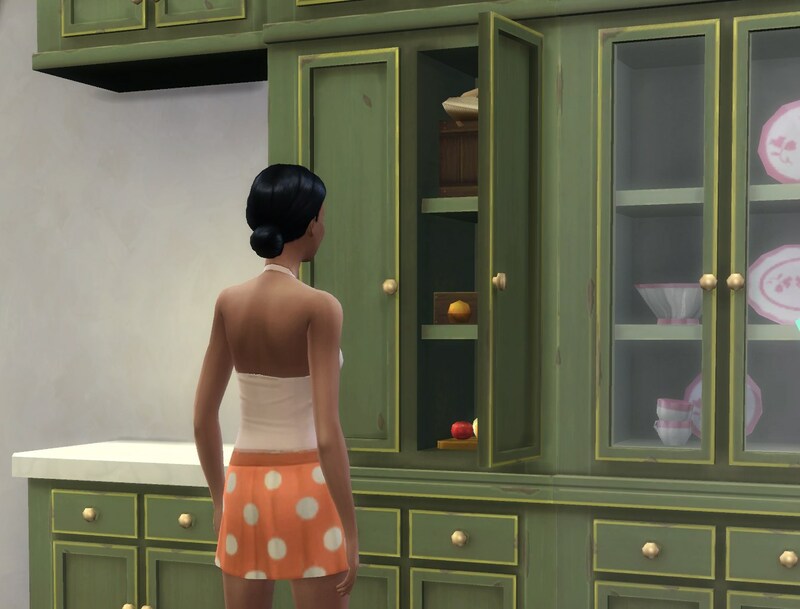 The tuning is that of the Schmapple fridge, which makes it unbreakable -- slightly too cheaty for my taste (because it also magically improves the food quality), but the fridges are being changed so often I really don't want to mess with custom tuning here. 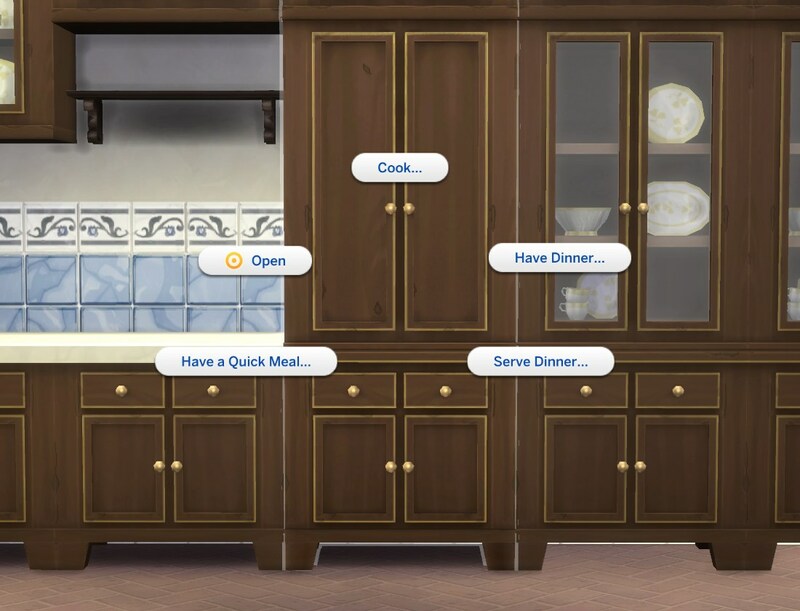 Since it doesn’t look electric I didn’t want it to be able to break.